I want to wrap up a few collections so some help would be greatly appreciated here. I can buy or trade for these depending on cost and what you have. I'm also looking for other games that I don't have boxes for. Will also buy loose empty boxes or other boxed games to complete my loose copies of my games. Edited by vintagegamecrazy, Mon Mar 25, 2019 11:12 AM. Bump. Can't anyone help me out with any of these? Another bumper. I still really want any of these! Bump again, anyone please help me out! 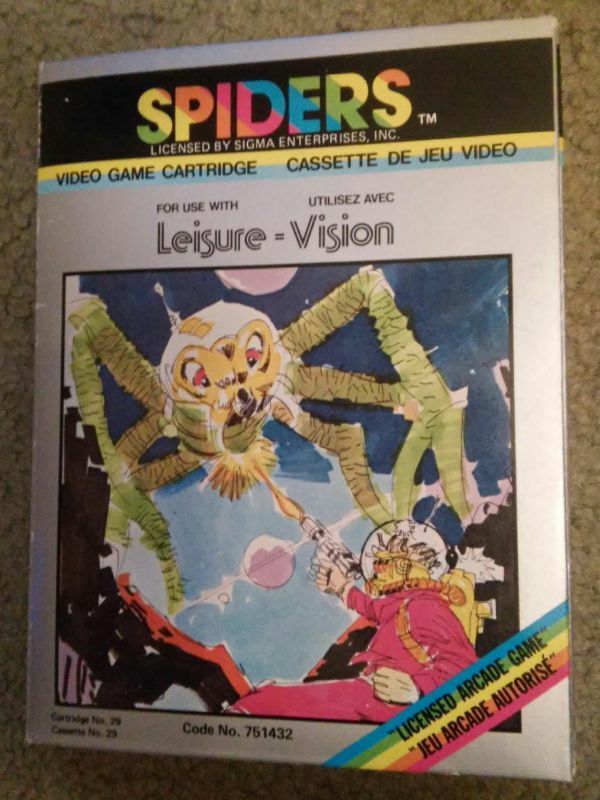 I have a complete in box Leisure-vision Spiders available. This is the Canadian version of the Emerson Arcadia 2001. So, while it would not specifically help you complete your U.S. collection, at least it is a North American release. I have attached a photo. Please let me know if you have any interest this Spiders release. Still nothing, bump. Really hoping someone will come through with any of these. I was finally able to source a loose copy of Backgammon for the APF for a good price too but I really need any others.